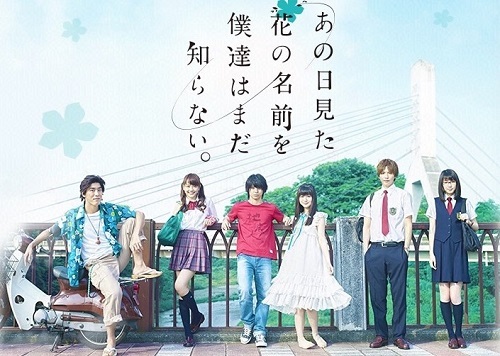 The live action movie version of Anohana: The Flower We Saw That Day (Ano Hi Mita Hana no Namae o Bokutachi wa Mada Shiranai) is based on the heartbreaking anime of the same name, based around loss, friendship, and redemption. Read on to learn more about this touching masterpiece! 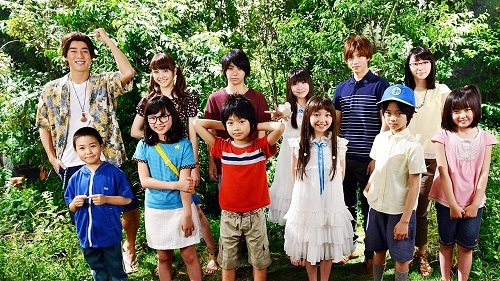 The live action movie Anohana: The Flower We Saw That Day that aired on Fuji Television (September 2015) is based on the anime series Ano Hi Mita Hana no Namae o Bokutachi wa Mada Shiranai. 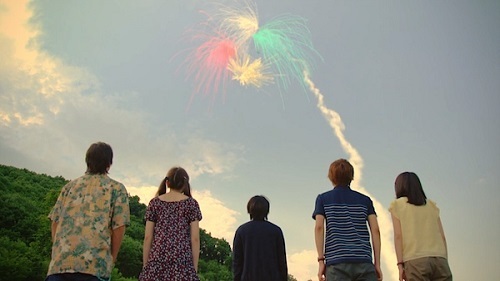 The sad melodrama revolves around the group of young children who drift apart after the accidental death of their childhood friend Meiko Honma. The main protagonist, high school student Jinta Yadomi, turns into a hikikomori and cuts himself off from the world. One summer day, a girl resembling an adult Meiko suddenly appears in front of him. She explains to Jinta that she has an unfulfilled wish and that is why she cannot enter heaven. To grant her wish, he comes out of his shell and starts to reconnect with his childhood friends. 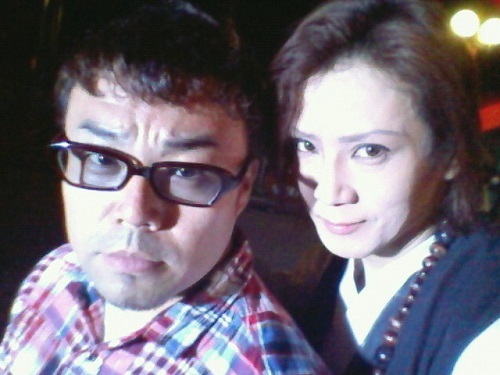 The movie is helmed by the Japanese TV director Masaki Nishiura who gained international recognition for directing such films as Densha Otoko and Hadashi no Gen. Death Note movie screenwriter Yoshihiro Izumi is credited with the final script, and Sumi Asano (Sazae-san) is credited as a producer. 18-year-old Nijiro Murakami who has previously starred in Takashi Miike’s Kami-sama no Iu Toori, portrays the main protagonist Jinta Yadomi. The character of Meiko Honma is played by 15-year-old actress Minami Hanabe who has made appearances in movies Eipuriru Furuzu and Gyakuten Saiban. Other cast members include Yuta Takahata (The Eternal Zero) as uncontrollably energetic Tetsudou Hisakawa, Airi Matsui (Yamadakun to Nananin no Majo) as a high school beauty Naruko Anjou, Jun Shison (Ressha Sentai ToQger) as incredibly intelligent Atsumu Matsuyuki and Marie Itoyo (Nobunaga Concerto) as logical Chiriko Tsurumi. Is it different from the anime? Anohana: The Flower We Saw That Day is an emotional story about love, friendship, letting go and choosing the right path in life. As a distillation of the anime, it makes several necessary cuts, but retains the main theme and the challenges that the characters face. To please diehard fans, the movie depicts the story perfectly without missing any important details and recreates many of the key scenes from the anime. Of course, there are some minor changes related to the characters’ looks. But beyond that, this is undoubtedly Ano Hi Mita Hana no Namae o Bokutachi wa Mada Shiranai in all respects, though told in an abridged manner. The actors are a perfect match for their characters, and the emotions they portray are so real that they will make even the most jaded heart weep. Get ready to have a good cry! High school romance is something that most of us have probably experienced. Between the long, monotonous classes, and the great parties with friends, new couples were always being formed. But how does Charlotte depict high school? Manga: Ano Hi Mita Hana no Namae wo Bokutachi wa Mada Shiranai.